My LG G3 phone (phone is rooted; OS is Android Fulmics) is recognised by my laptop when I plug it in. The laptop is running Ubuntu 18.04 and I can easily copy data from and to my phone. I have recently installed the Android Debug Bridge (ADB) (sudo apt-get install android-tools-adb). Then, I wanted to reach my device and typed adb devices. So, List of devices attached appeared first and no device was listed. I have also tried to use sudo adb devices instead of adb devices but the results were the same. When the ADB would work, I would try to use it for data recovery purposes as described here. Maybe the pull command can do what I want. This has solved my problem. I could not turn on USB debugging because the phone was connected to my computer. You have to unplug the phone first, start the USB debugging and plug it back in. Then, adb devices worked. Thanks for contributing an answer to Android Enthusiasts Stack Exchange! Not the answer you're looking for? Browse other questions tagged adb data-recovery linux data-transfer lg-g3 or ask your own question. How do I get my device detected by ADB on Linux? How to scan internal memory of my Android phone around a certain index entry in order to find lost utf-8/LF (for Linux/Adroid) text? How can we see deamon proceses in Android? 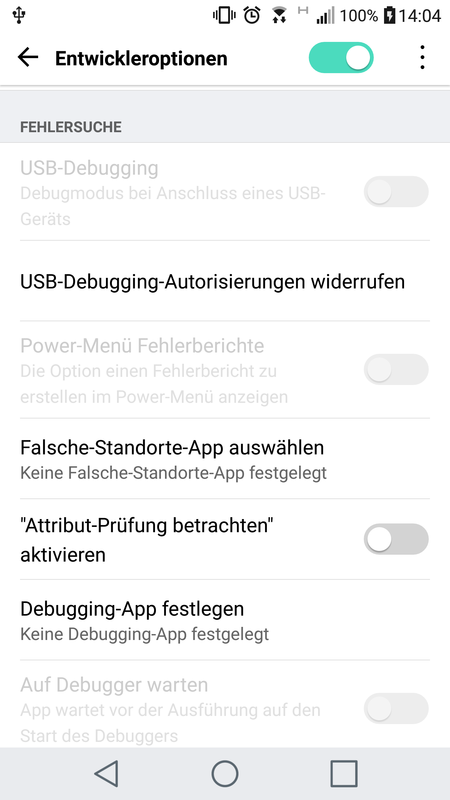 Device is showing in device manager but not in Android ADB Interface? The Android robot logo is a trademark of Google Inc. Android is a trademark of Google Inc.